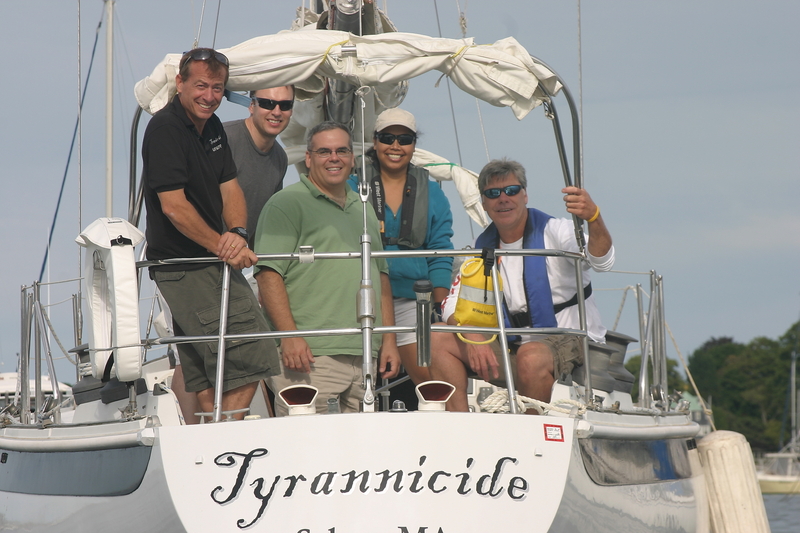 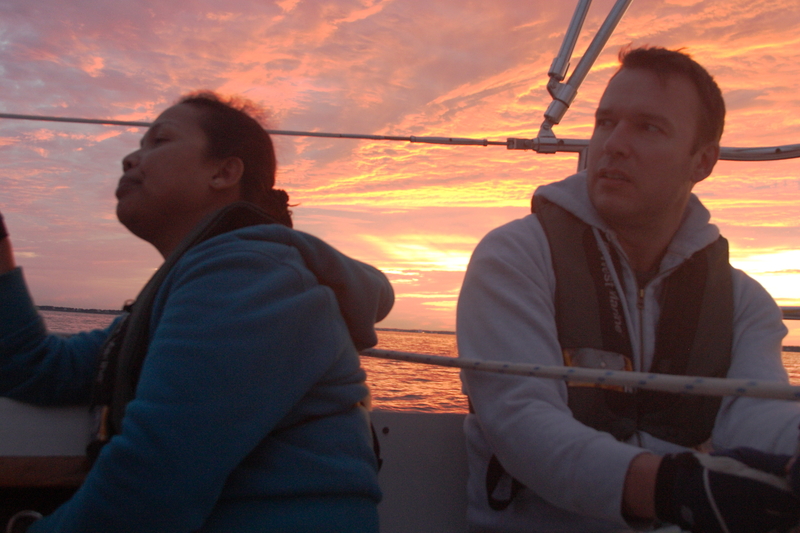 Team Tyrannicide completed the Beringer Bowl overnight ocean race from Marblehead to Provincetown in just over 14 hours last Friday. 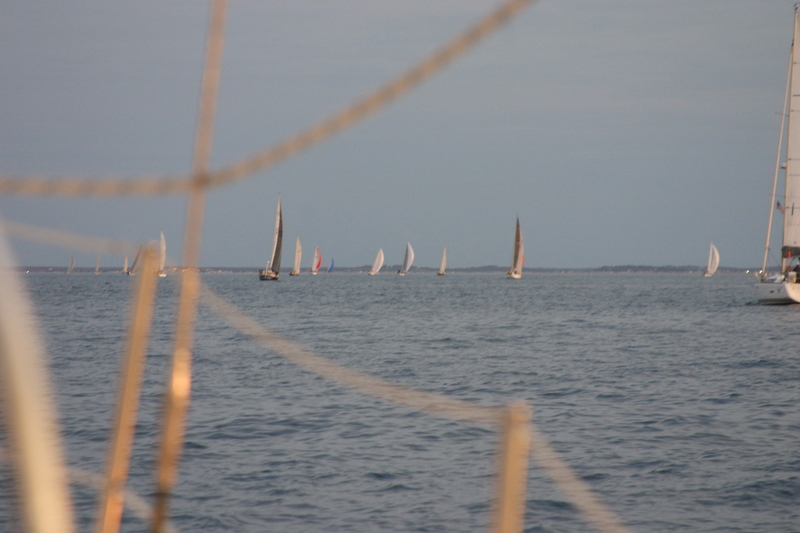 Not a fast race by any stretch of the imagination, but we completed the race unlike 7 other boats. 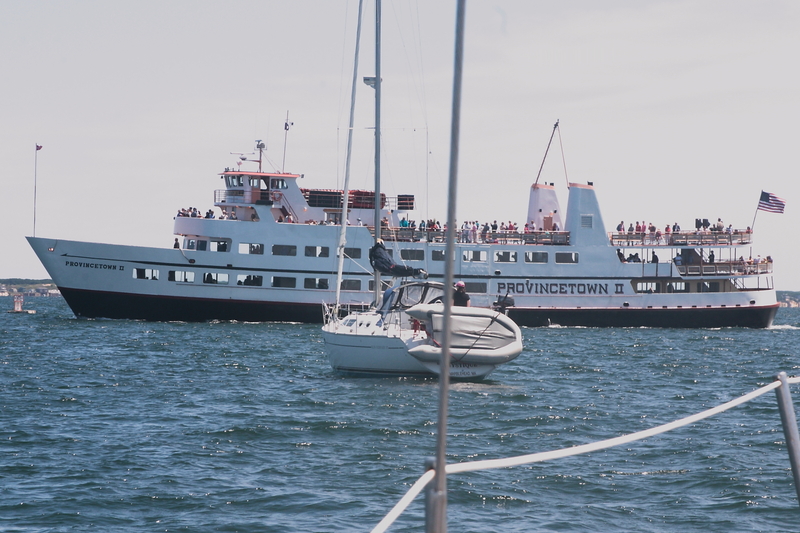 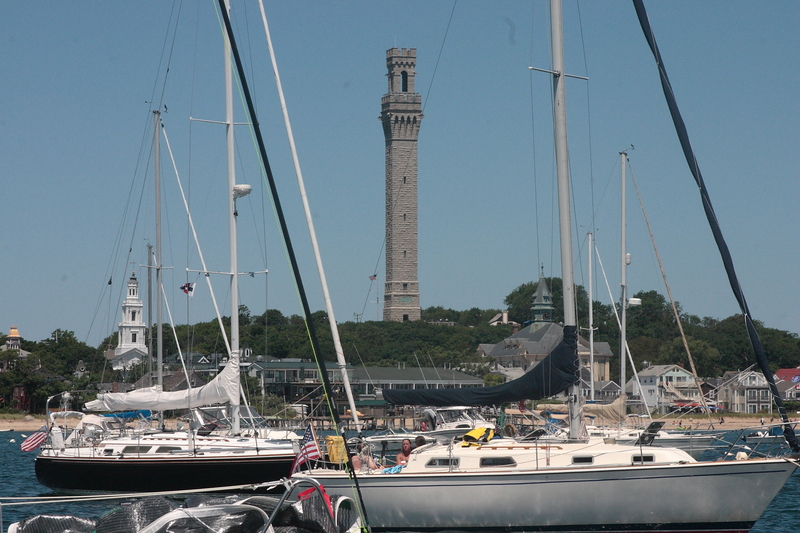 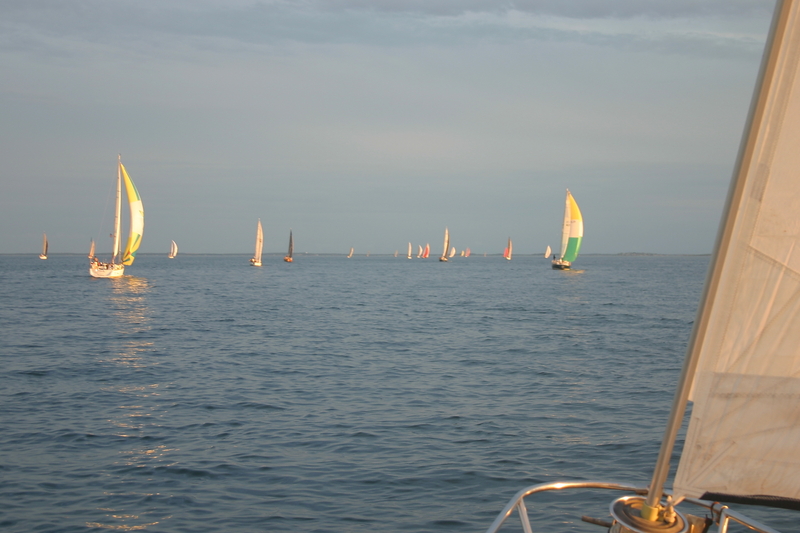 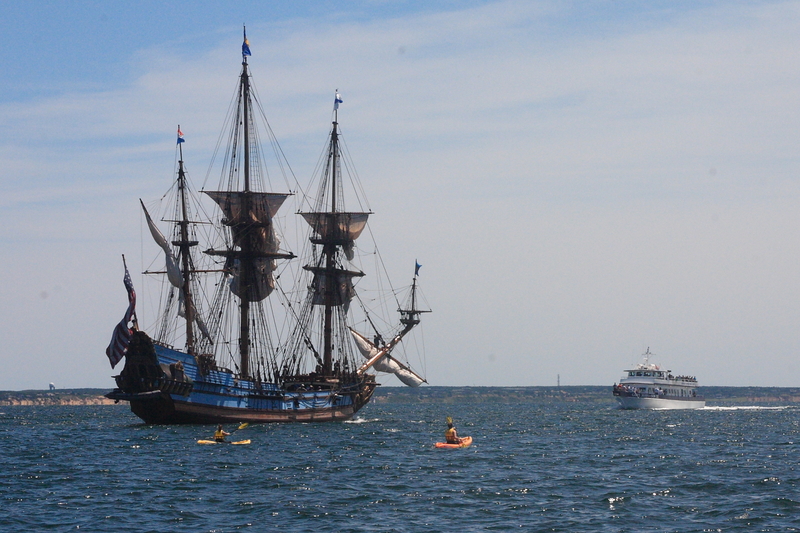 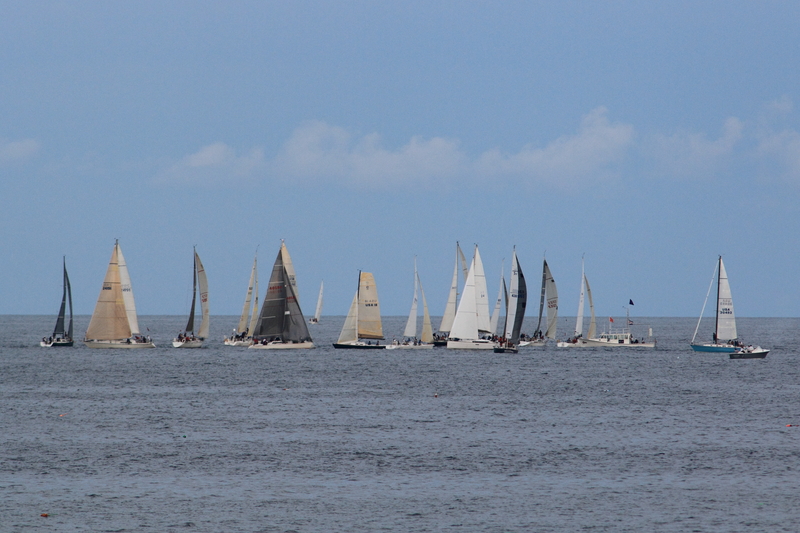 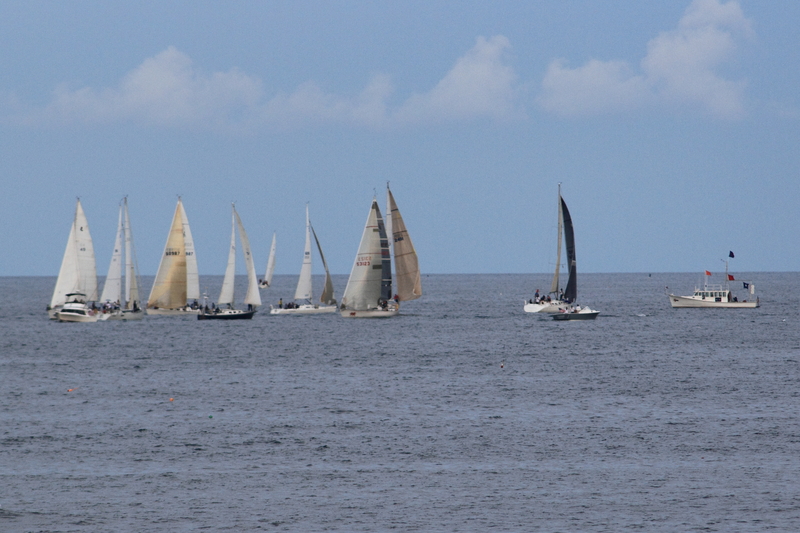 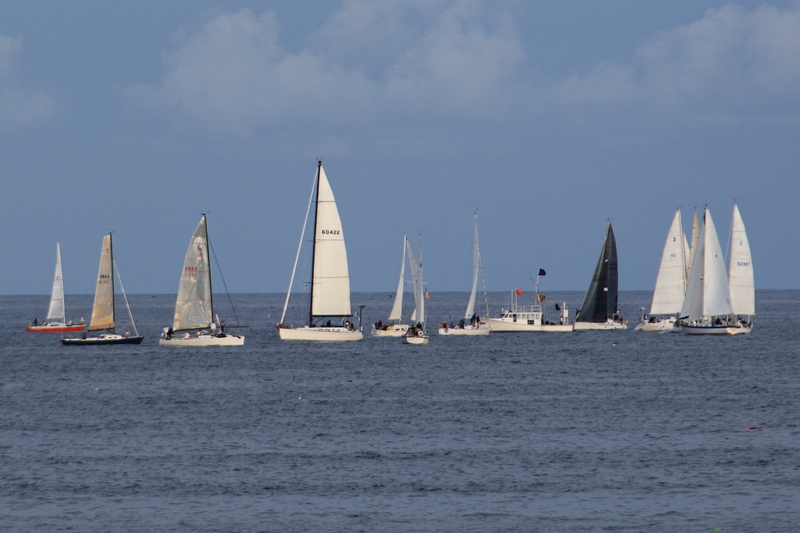 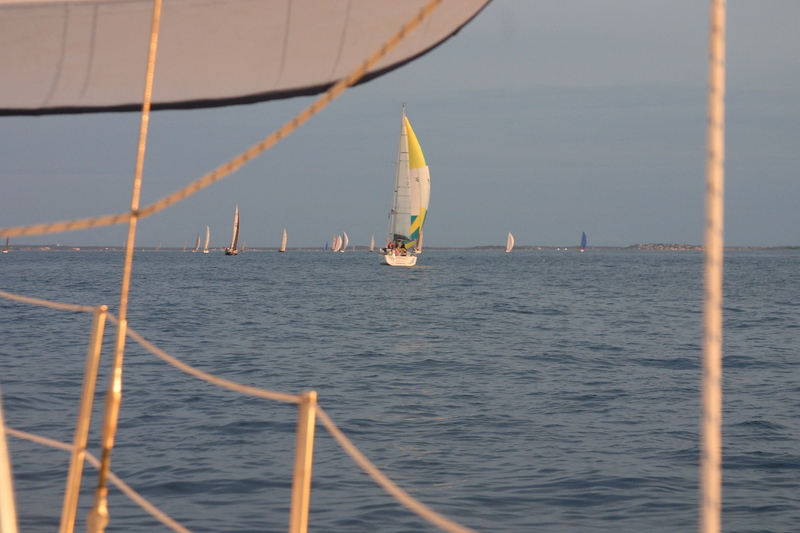 Ruth took a 400mm lens out to Marblehead and shot the race from land. 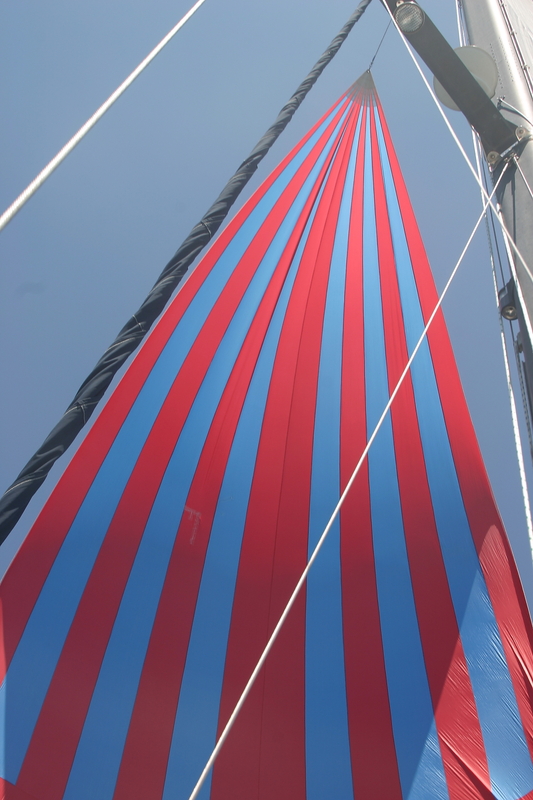 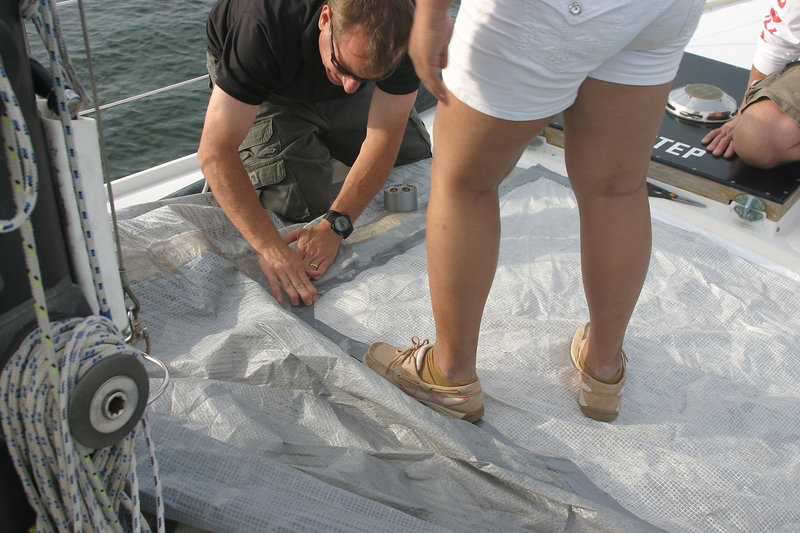 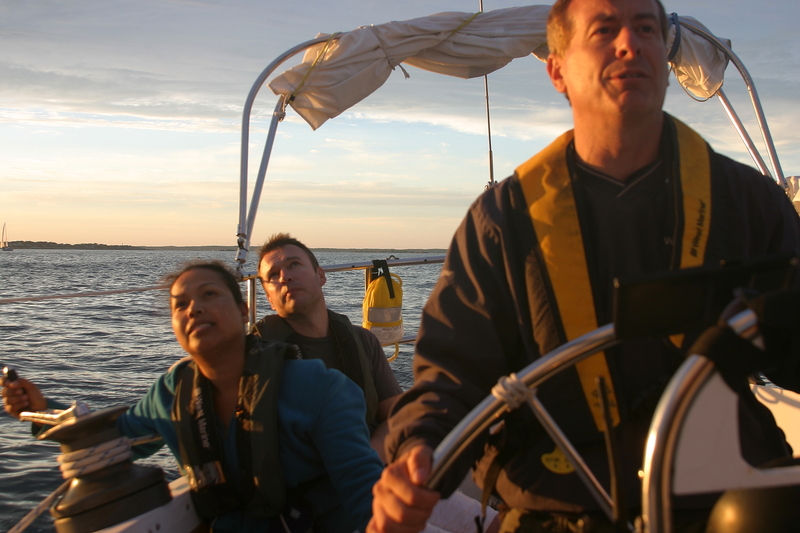 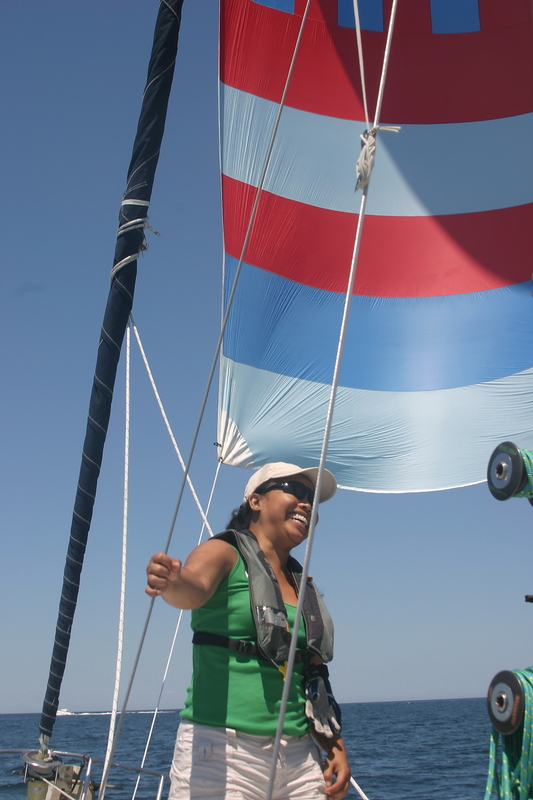 She then took the ferry to Provincetown and joined us for the sail back Sunday where John raises the asymmetrical spinnaker for the first time. 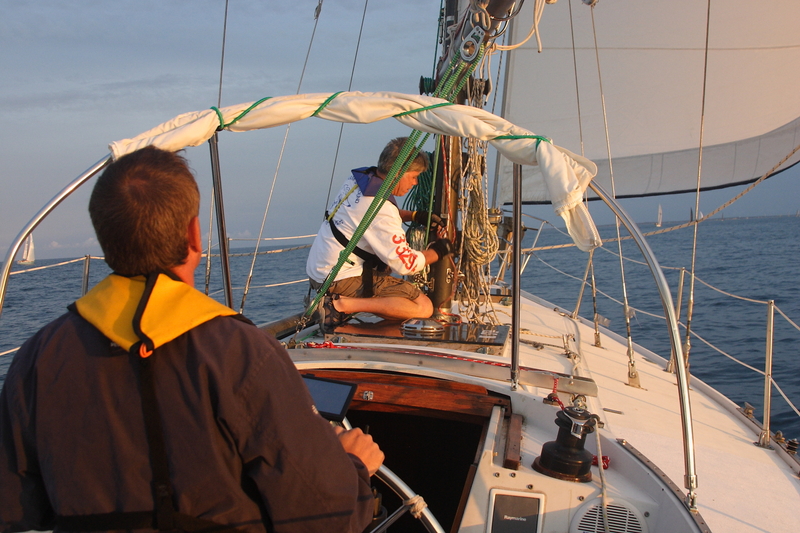 As the pictures depict, Captain John seriously considered setting the old, falling to pieces jib. 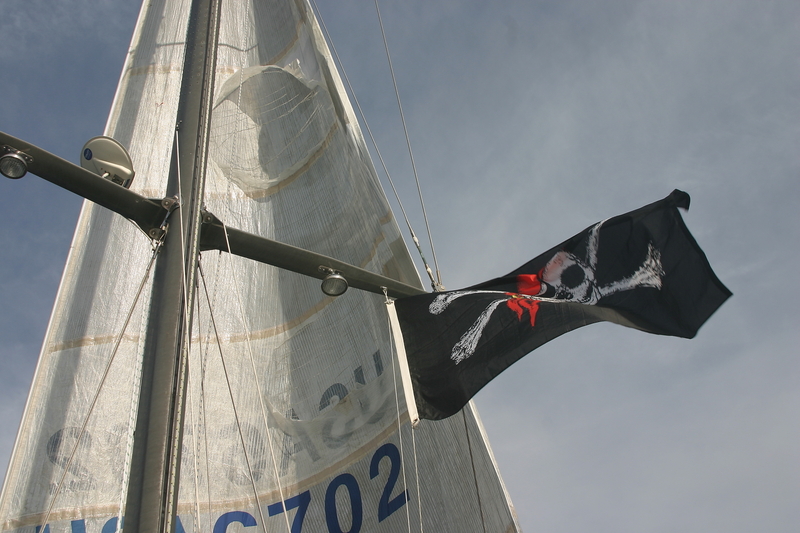 Even after reinforcements were made with duct tape, the Jolly Roger continued to loom large, casting a sense of foreboding. 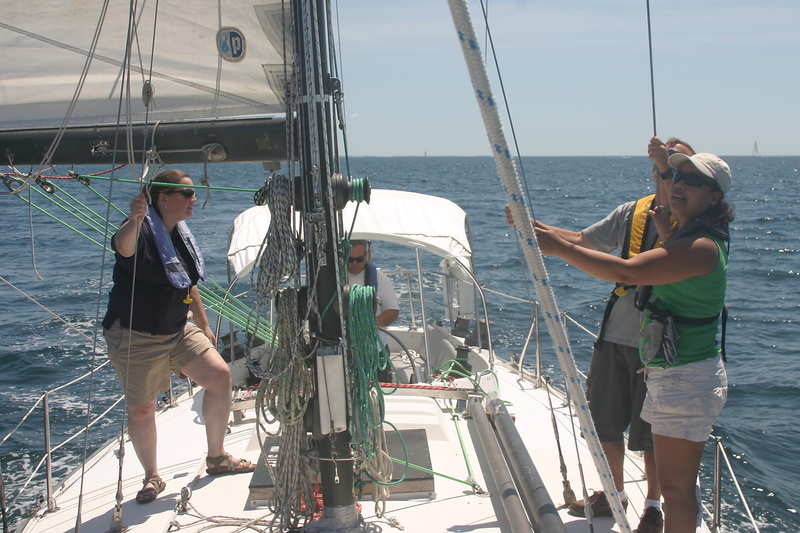 The new jib was set after pulling the numbers off minutes before the start. 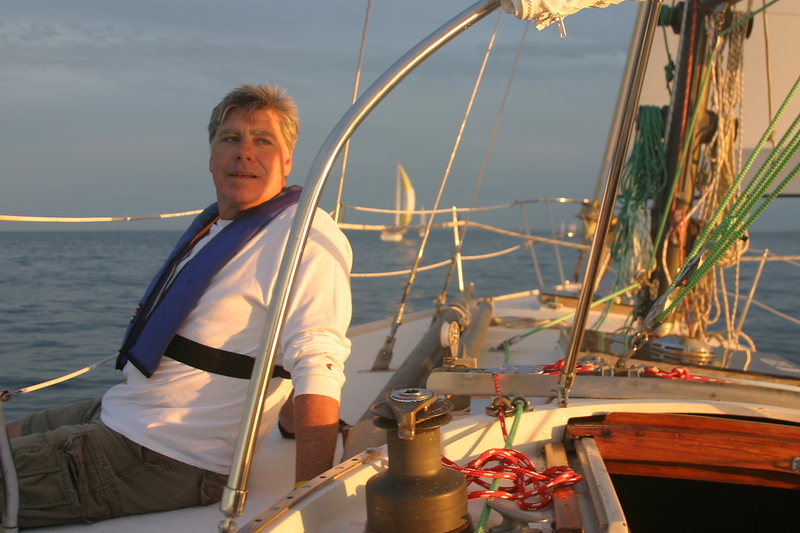 Posted in Sailing and tagged Beringer Bowl, Canon 10D, Canon 7D, lack of sleep, Sailing, Tyrannicide on July 25, 2012 by Doug.